Hobart Boots - Australia's premium work boot. Full responsive website with eCommerce. 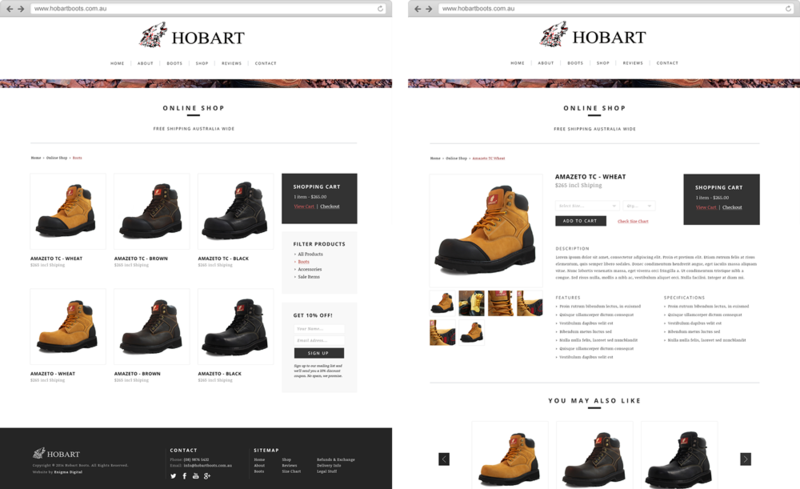 Hobart Boots are a premium product. The website is designed to match that brand image – modern, solid, clean, professional, with a touch of gravitas.